Orlando. The mere mention of the word makes families smile and children (even teens) leap with excitement. The word is synonymous with Mickey Mouse and Harry Potter and family adventure. 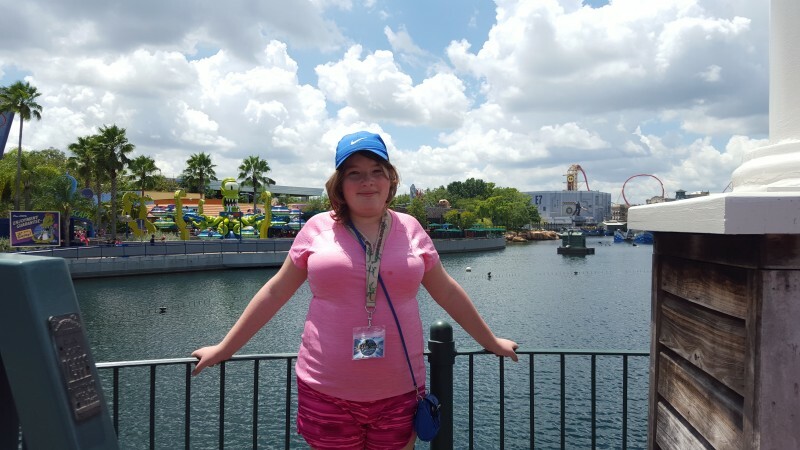 For Orlando is the town that Disney built…..
My family went last summer and we had a wonderful time. We hit 6 theme parks in 5 days! It was amazing. EVERYONE is welcome, as long as you are spending money. We saw so much diversity in the theme parks and so many languages we couldn’t even identify some of them. It is a truly happy place. Not this week. Another act of random violence has taken over happy town and left the world grieving. I could not even process this loss initially. I’m writing now to help myself and hopefully a few others work through their grief. This is not a political post, gun discussion or discrimination rant. It is not about anyone’s religion or other controversial topics. I hope it just stops and makes us think a little. Mass shootings in America have become so regular that as a society, we may be numbing to them somewhat. Everyone was heartbroken after Aurora and many people stopped going to movie theaters. It lasted about a month. We were devastated when a shooter took out elementary students in Newtown, Connecticut. We prayed and shared our thoughts with families just prior to the holidays and then went on with our comfortable lives. These events seem to occur every few months. They have not all been committed by “terrorists”. Yet that is how we react when we hear a name that sounds different. Maybe it is true but let’s hear the facts first. The Oklahoma bomber was a simple, American country boy and he took many lives. The Newtown shooter and Aurora were also Americans, or “domestic terrorists”. The bottom line is that these events keep coming. President Obama had said after the San Bernadino events that he “hoped and prayed that he did not have to do this again”, meaning address the press after a shooting. A couple of weeks ago, a Professor at UCLA was shot. This one hit close to home as open carry begins on the UH main campus this fall, where I teach. A student’s anger can be very challenging to manage. But Orlando punched me in the stomach. It was the “gay” community that got hit and “Latins” and “Gay Latins”. REALLY? Let’s drop all the labeling. It was 49 mostly young people enjoying their lives and letting off steam. It was 53 more injured young people and more than 300 fully traumatized. It was parents losing their children, no matter their age. It was mothers receiving texts from captured children telling them they loved them as they waited to die. How much pain can we tolerate? I had to remove myself from social media channels over the weekend. Just a week before, I attended the HATCH prom as a sponsor while my daughter and her many friends enjoyed a prom without the pressures that school proms create. They danced freely and let their spirits fly. Another mother and I watched from the VIP room as our kids had the time of their lives. How vulnerable were we? Thankfully, there were four off-duty officers outside. I never considered safety an issue with this event. My child is different. That has not changed the fact that I love her with all my heart and soul. Love her with every inch of my being, as many mothers do. This event also hurt her and made her question her own safety. Let’s just pause: Stop with the hate, the victimization, the politics of it all, and grieve for families who have been torn apart by this tragedy. Rest assured that the news will dissect it until the next big story comes along or the next random act of violence. I will respond with random acts of kindness. Thank you Nancy for writing this post.